"The football World Cup held in Russia this year is a bright example of successful international cooperation… as during it we managed to prevent terror attacks thanks to our common effort," Patrushev said. Alexander Bortnikov, the head of the country's Federal Security Service (FSB), specified that the FSB had suppressed terrorists' attempts to carry out attacks using drones during the tournament. 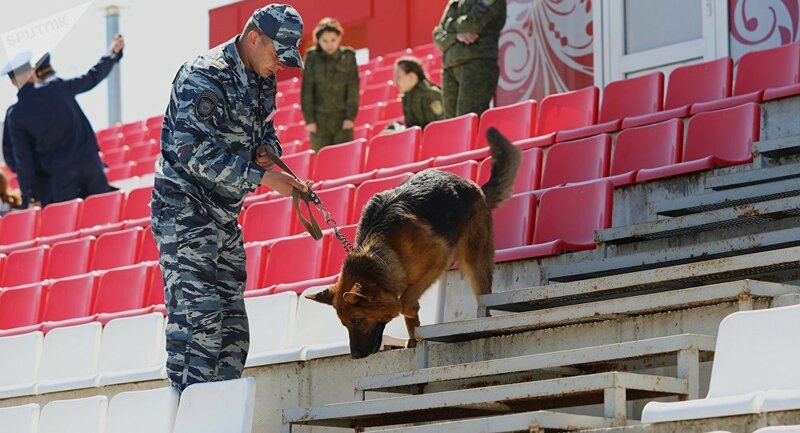 "The FSB bodies… took all the necessary measures for identifying and suppressing terrorists' attempts to use air drones during the FIFA World Cup that was held in Russia," he said. Bortnikov specified that such attempts had been identified not only during the World Cup, but during the preparations for and holding of other "large-scale political and sports events." He added that it was necessary to immediately start formulating legal and regulatory framework for drones use. Nikolai Patrushev voiced his concern over the poor quality of work of the Organization for the Prohibition of Chemical Weapons' mission in Syria. "In this aspect, the poor quality of Organization's specialized mission's work on establishing facts of chemical weapons implementation in Syria raises serious concern," Patrushev said at the opening of a conference for heads of intelligence services, security services and law enforcement bodies. Earlier, the United Nations announced that it had picked two research centers in Barza and Jamraya, north of Damascus, for inspection by a UN-OPCW joint mechanism.